“Imagine you are sitting down in a chair and on a screen before you you are shown a bloody, ripping film of yourself undergoing surgery. The surgery saved your life. It was pivotal in making you you. But you don’t remember it. Or do you? Do we understand the events that make us who we are? Do we ever understand the factors that make us do the things we do? That’s an excerpt from Douglas Coupland‘s book Shampoo Planet, which I read when I was in CEGEP, and it really, really struck such a chord with me (I’d had a very similar dream with the same theme around that time),so much so that I copied it down back then. So having the chance to finally meet the author and artist on Friday at Simons was pretty damn exciting to me. And he was so warm and friendly (not sure why I was not expecting that? ), even when I awkwardly blurted out that I’m a big fan of his work. On Saturday, April 30, 2016, is the 5th scanning event, and it’s taking place at the Simons in Square One Shopping Centre. (And the next scanning event set for the Rideau Centre in Ottawa in Fall 2016). 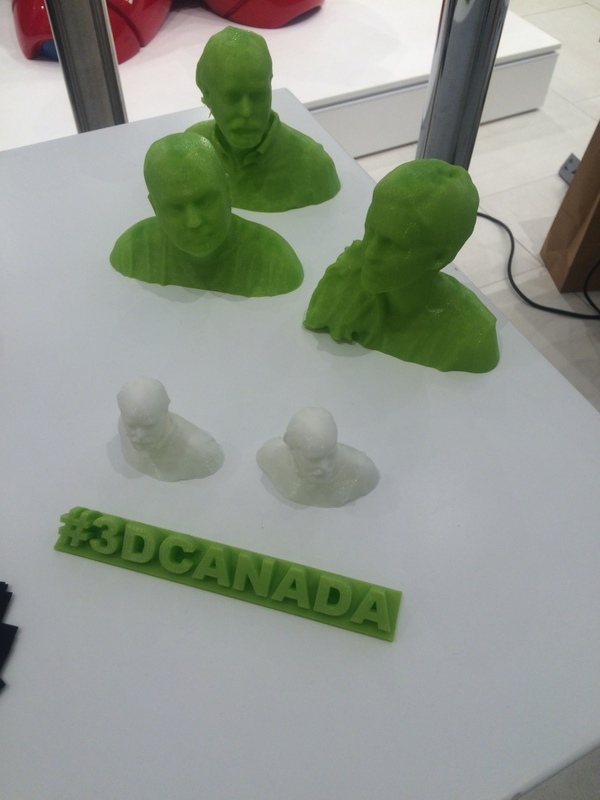 If you’re in the GTA, head to Simons in Square One tomorrow from noon until 12:30 to have your own scan and bust printed (you’ll find this happening on the second level). I’m so excited to receive my bust soon!